On Tuesday episode, America’s Got Talent performance almost turned a tragedy after a failed trapeze trick. On Tuesday, America’s Got Talent audience and judges experienced the strongest emotions when a trapeze trick didn’t go according to the plan. A married couple, Mary and Tyce, wowed the judges of AGT with their incredible performance of gravity-defying tricks high above the stage. 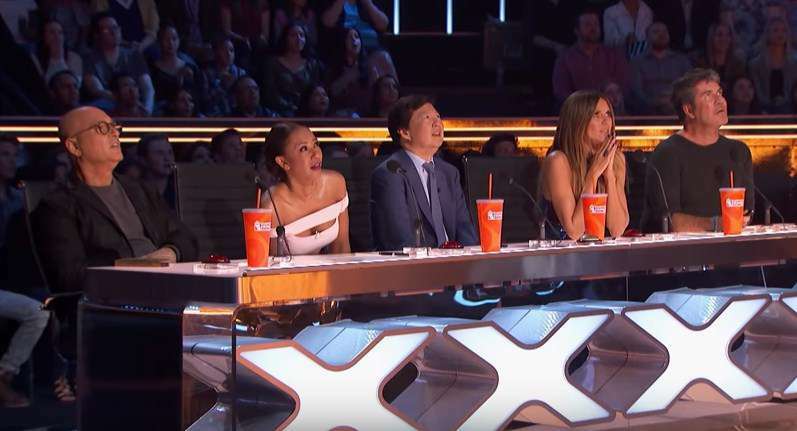 The husband and wife astonished everyone in the audience, and their acrobatic act was, no doubt, one of the best ever performances in the history of AGT. Mary and Tyce have been married for 6 years. The most amazing thing is that Tyce is nearly blind due to a progressive eye disease, but you would never notice this watching him in action on stage. The couple’s 2-year-old son and his grandma came to the studio to support Mary and Tyce. Everything was fine until the couple began to perform their final big trick. Tyce hung upside down with his eyes blindfolded prepared to catch Mary. At the final moment, his wife slipped through his hands and fell to the ground. READ ALSO: Why Was A 13-Year-Old Boy Jeffrey Li Promised A Puppy After He Sang At America's Got Talent? The audience and the judges screamed being terrified by what has just happened right in front of them. The couple’s little son scared most of all. We can see how his grandmother covered his face after the horrible falling. Fortunately, Mary was fine, as she fell on a safety mat. She just had some bruises. But here comes more. Just after her nearly deadly falling, Mary said she wanted to repeat that trick again. We would like to try the trick one more time. No! It's fine! It's fine! This is not America's Got Perfection, it's America's Got Talent! Nobody can do this. I mean, it's OK! You can watch Mary and Tyce’s incredible performance in the video below. Warning! The video contains content which may be unsuitable for children and psychologically sensitive people. Thank God, everything ended well, and nobody got hurt. We wish Mary and Tyce a great success and hope to see them on stage again but, this time, without such a dramatic final.